If Cynthia Lennon had been born ordinary, she would have probably evacuated to Crosby. She would have improved her grooming and accent and settled in the suburbs. But, like her ex-husband, Cynthia was already posh. She was raised in Hoylake. Crosby is where I live. I grew up eight miles east of Liverpool city centre and now live eight miles north of the same city centre. Although I never lived in Liverpool, I worked there and was sucked into the exodus out of the city. Crosby village was formed by Vikings. I suffer an affliction that confirms that I have Viking blood. If there is such a thing as destiny then this dull eastern tip of Merseyside is mine. Crosby expanded from a fishing village to a suburb in the 19th Century. The Rainhill Trials that launched the steam locomotive took place in 1829. No slouches the Victorians, the railway from Liverpool to Southport was opened in 1848. In the 70s the railways became faster, and the rich of Crosby moved on to leave behind the quite comfortable. Crosby has over 51,000 people and a density of population that averages over 12,000 per square mile. Car parking at Sainsburys is not easy. Nearly a third of the population live in one-person households. Many of the grand properties that once housed nanny supporting families have been converted into flats. Crosby was recorded in the Domesday Book in 1088 as Crosebi. No prizes for spotting the connection. It began life as a fishing village but the fishing was blitzed away by the ocean traffic to Liverpool Docks. 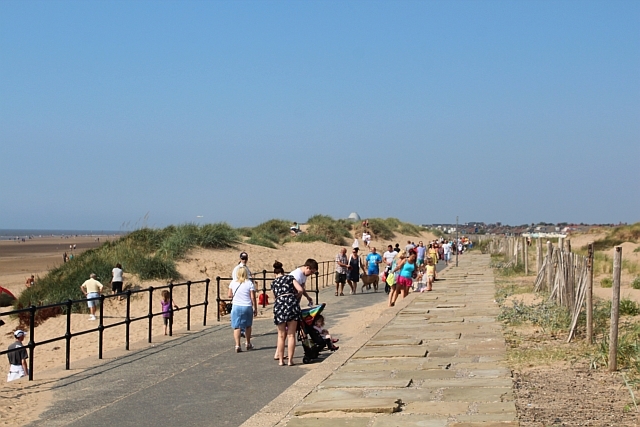 The coastal walk from Waterloo through Crosby to Hightown has a good mix of beach, sand dunes and forest. The views are marred by the flat landscape of the North West and the urban environment but the sunsets are impressive. Walking through the sand dunes on dark late winter afternoons almost constitutes adventure. Crosby has two good pubs. The Crows Nest is well established and on a good night it throbs with polemical conversation. The Pidgeon is an award winning micro pub and recent. The Plaza Community Cinema is a non-profit repertory cinema that supports various festivals. It has special Autism and Disability Friendly Screenings. The village also has the fine Pritchards Book Shop. For most of my life I have ignored the restaurants but we now have a possibly trendy Good Catch Fish and Chip Shop. Blundellsands is north west of Crosby and popular with overpaid footballers. It shares Crosby Beach. Herman Melville and Ralph Waldo Emerson are rumoured to have walked the beach. They must have discussed the next phase of American democracy. 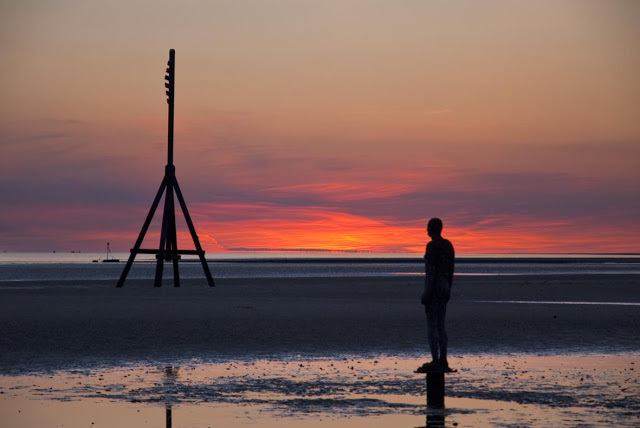 The statue Another Place by Antony Gormley is a permanent feature on Crosby Beach and has 100 identical male figures. The title makes obvious its existential meaning. Marine Football Club does not offer top flight football but you can take a drink inside the ground. Crosby has produced the famous Medusa alternatives, Cherie Blair and Anne Robinson. Educated but aware of Scouse street survival they may define the place where I live. Next week, surprises in the Midlands, Dudley. Howard Jackson has had three books published by Red Rattle Books. His 11,000 mile journey around Brazil is described in Innocent Mosquitoes. His next book is a compilation of horror stories and is called Nightmares Ahead. It will be available soon this Spring. Posted in Anne Robinson, Another Place, Antony Gormley, Cherie Blair, Crosby Merseyside, Crows Nest Crosby, Cynthia Lennon, Herman Melville, John Lennon, Marine Football Club, Pigeon Crosby, Plaza Community Cinema, Pritchards Book Shop Crosby, Rainhill Trials, Ralph Waldo Emerson and tagged art, Food and drink, literature, travel, UK history on April 3, 2015 by Howard Jackson.